About K9 Bug Detectors LLC. We are a Full Service Extermination Company , Family ran and Owned. What people say about K9 Bug Detectors LLC. Contacted Bobby because I thought I had a bed bug problem. He was not only compassionate and understanding. But he was discreet and understood my need for discretion. He came out with Bruno the dog. Whom I"ve read about in a blog. The obedience of this dog was amazing and Bobby was very friendly and professional. It was a real treat to be able to talk to someone who"s human and doesn"t treat you like a dollar sign. k9 were super responsive, empathic, professional and reassuring. I truly felt like my bug free future was in their hands. I am so glad I went with this service, I have full confidance in their pest knowledge and would recommend them to anyway facing a bed bug infestation. K9 did a great job tackling our bug problem! Professional, friendly and did a thorough job. Very responsive to questions and concerns. Would highly recommend. 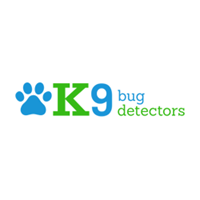 I am very pleased with the services received from K9 Bug Detectors. It took several weeks, but they got the job done. Now I can go to sleep and don't feel I will be bitten by a bed bug. Bobby was very friendly. We were on first name basis. He teased me saying that every time he came here I was cooking. I would be happy to recommend this company to someone else. This guys commitment to getting rid of your bb problem is impeccable. My guy stood behind his work and helped to calm my nerves a free service that comes when you choose k9. Use this company and you won't ever need another. The fellow was prompt and courteous. Showed up for the appointments on time and there was good communication about arrival times and billing. Took care of our problem on the first visit and follow up confirmed all was A-ok. Made a difficult situation tolerable. They come to your house with no pushy sales pitch. They work out the best possible deal for you. Your concerns will be put to rest and you will feel confident in their work. Just in case, there is even a guarantee. We have recommended them to others who have been happy as well. Im writing this to let you know that I had a company before K9 Bug Detectors LLC. and they did not show half the time nor take care of my Bed Bug Issue. Then I had Bobbie stop by and right from day one we hit it off. Its a very stressful situation that can drive you nuts. He said what he did and did what he said. He is down to earth guy. He knows how these bugs live , hide and then Die . I don't always take the time to write about a company but this company deserves my time. Good Luck with your treatments and listen to Bob and you will be free of BED BUGS in a short period of time. Gene. Great service, responsive & competent. Kept all promises and all solved all problems permanently. No reservations. I got was nothing but honesty and professionalism. Best money spent no gimmicks! This company was wonderful! They put my family at ease with our questions and answers. The expert was very down to earth and the dog was very well trained. I highly recommend them to anyone who has a scare or an infestation! Bobby is not only the best and most thorough bed bug exterminator in the New York area, He is the nicest and most comforting, and probably the most affordable as well. Look no further! This company has excellent customer service ,especially with the stress of bed bugs and hornets ..professional , effective ,and reasonable I would highly recommend this company for their services. The inspector was patient with my long list of questions and answered all of them, leaving me at ease about my apartment. He did a thorough inspection and did not overreact and have me re-bag everything when it wasn't necessary. I really appreciated the dose of reality and clarity during the hectic, stressful experience of dealing with bed bugs. The bug guy and his dog where great, got the job done came to the house 2 times and we where done! BUG FREE!! My experience with K9 bug detectors was positive. I was reassured that the problem would be dealt with and it was. Excellent service, quick and effective. We were able to schedule an appointment last minute, and fortunately no bed bugs were found! Great and efficient service. Highly recommended. Very helpful and doesn't not try to push other services on you! A+. Great experience ... got the job done ... very helpful thru the treatment !!!!!! The WORST service ever! I was in desperate need of help and Bob came to our home, sprayed chemicals while my 5 month old child was in the apartment (telling me it was fine for us to be there during treatment and immediately after), and then never returned for followup visits after repeated phone calls. Of course full payment was "required" to begin so that left us paying this company over $1,000 for nothing. They are so helpful and truly care about you and the frustrations you feel dealing with bugs!!! Thank you for helping us and getting rid of the bed bugs!!!!! They are reasonable and dependable...I highly recommend this company! Do not used this company, I paid a lot of money and they only came to my house once. They were supposed to come back with the dog, and do re-inspections, but none of that happened. They took my money put a bit of poison in 1 room and desapeared. They never answered my call or e-mail after that. I've used this service multiple times after traveling to Europe. I wanted to ensure I wasn't bringing anything back to my apartment. The team is responsive, on time, and great at what they do! The inspection is quick and well worth the peace of mind. I highly recommend their service! Great fast and affective service, 3 sessions and bed bug free!!!!!! They don't now wat they duenge. Professional, courteous and knew what he was doing.